Spectre’s first full-length trailer for has been released online. 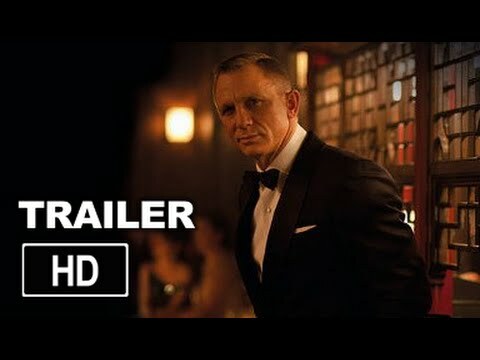 The two-and-a-half minute clip – which sees Daniel Craig reprise his role as James Bond for a fourth time – gives a closer look at the movie after a teaser was released in March. Featuring car chases, exploding planes and shady crime organizations, it bares all the hallmarks of classic James Bond. Spectre will have its world premiere in London on October 26. The new trailer for the 24th James Bond movie begins with a first look at Ralph Fiennes in his new role as MI6 boss M, questioning Bond about a rogue mission to Mexico City. James Bond is then seen in Rome, where he meets Lucia Sciarra – played by Monica Bellucci – the widow of an infamous criminal. After a suggested quick tryst with Lucia Sciarra, James Bond infiltrates a secret meeting and uncovers the existence of the crime organization known as Spectre. Having previously only seen him as a shadowy character in the teaser clip, Christoph Waltz is also finally revealed as James Bond villain Franz Oberhauser. There is also a first glimpse of Andrew Scott, who stars as Max Denbigh, the new head of the Centre for National Security. Fans on Twitter were quick to give their reaction to the new trailer and many noted it featured some of the theme to 1969’s On Her Majesty’s Secret Service.